Attention all Canadians! This weekend, there is cause for celebration. 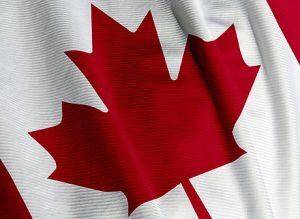 Canada turns 145 years old on July 1st.. Your long weekend is probably packed with celebratory maple syrup eating and Canadian beer sampling. Normally, we’d suggest you add some real estate to the schedule, but because of the holiday, there aren’t many events to choose from. That said, we’re willing to bet that people who do attend these events will get a little extra love and attention. Modern by Amacon: Grand Opening Celebration, 12pm, Saturday,1305 Burrard Street, Vancouver. Rolling Meadows by Great Gulf: (Sponsor) Mayor’s Canada Day Picnic, 8am Sunday, Battle of Beaverdam’s Park, Thorold. The Humberlands by Fieldgate Homes: Preview Opening, 8am, Saturday 13495 Bathurst Street, Richmond Hill. Trinity Lofts by Streetcar Development: Open House, 10am, Saturday and Sunday, 2 Eastern Avenue, Toronto.